This shows the STM32CubeMX for my 3 x RS-X PLC Module. I find this tool to be quite usefully as it allow you to set up the clock, configure each function and wire the MCU. It also generate a nice PDF document with all details as well as a starting project with all init code as well as FreeRTOS should you want it. 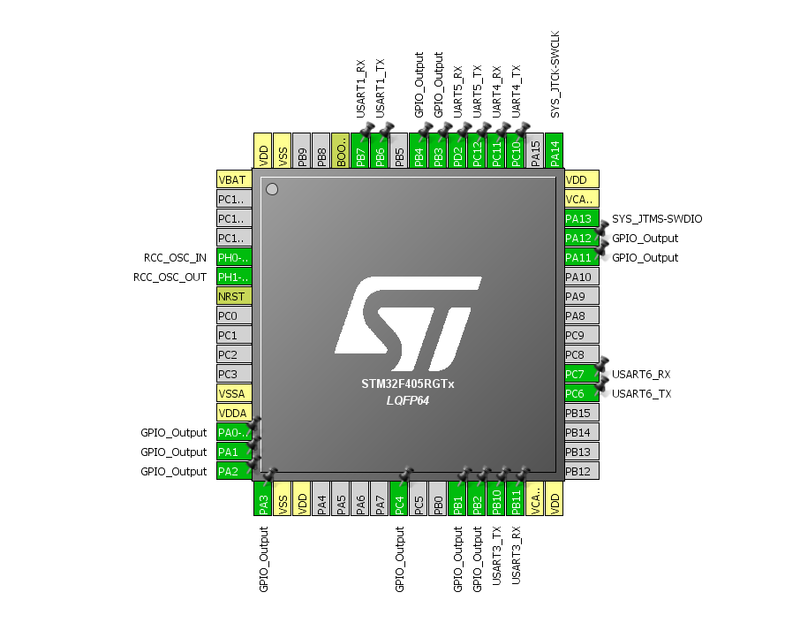 The generated code opens in System Workbench for STM32 and the only complain is that they only support C. But, you should be able to get C++ with a bit of manual work. It all works well with a low cost ST-Link, so you are on your way blinking a status led within minutes. System Workbench for STM32 is far behind CoIDE and CooCox, but I still use CoIDE 1.7.8 and as CooCox seems to be down (?) I need to move on. My main concern is lack of C++ support which sadly is very common in many embedded IDE’s. Returning to STM32CumeMX, this tools is free from ST and a big time saver. It download latest drivers and give you working examples on how to initialize the MCU. It also warns you about wiring conflicts and does the job of setting up the complex clock.